Home » What Insurance Do You Need For Your Business? When you start a business, you have many things to protect. With the right insurance cover, running a business can prove easy since most risks that could lead to massive losses are covered. Luckily, there are various coverage policies that can suit any business. Below are some of the main that you should consider for your business. A building owned and used by the business can also be insured against some risks, like fire. Under this policy, there are various items that can be covered as long as they qualify as property of the business. Such include inventory tools, computers, and office equipment. Vandalism can occur any time leading to loss or damage. Other possibilities include cases of theft and smoke damage. 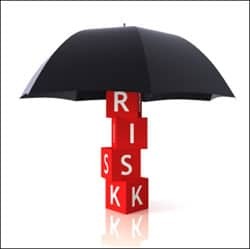 All the above mentioned risks are common in many businesses and if there is no policy to protect against losses when any occurs, the business stands to lose huge sums of money. Regardless of how careful one can be, there are various instances that will land one at the corridors of justices, most probably to respond to cases involving third party injuries. If the business is sued because of accidents caused, injuries or any other claims of negligence, public liability insurance policy will help to cover all the costs incurred in the process. In case the company is sued for defective products that could have caused injury or damage, the policy will also come in to cover costs incurred. If a worker is injured in the course of executing tasks in the business, the workers compensation policy will help by covering all costs incurred in the process of securing medication and any compensation due. In this policy, there is a provision for wage replacement and medical benefits if the employee gives up his right to seek legal action against the employer in a court of law. Any company or business that owns vehicles should not ignore buying commercial car insurance. This policy allows the owner of the business to choose what kind of classification to choose, something that also helps in the calculation of premiums. A vehicle that carries products, equipment or any other heavy products is likely to attract more premiums due to the risk levels associated with its use. There is also the non-owned insurance policy, which protects vehicles owned by the employees but used to perform company duties, in which case the employee could have bought inadequate cover for the vehicle. This package can also be included in the business owner’s coverage, which provides all the insurance that is needed by the business.